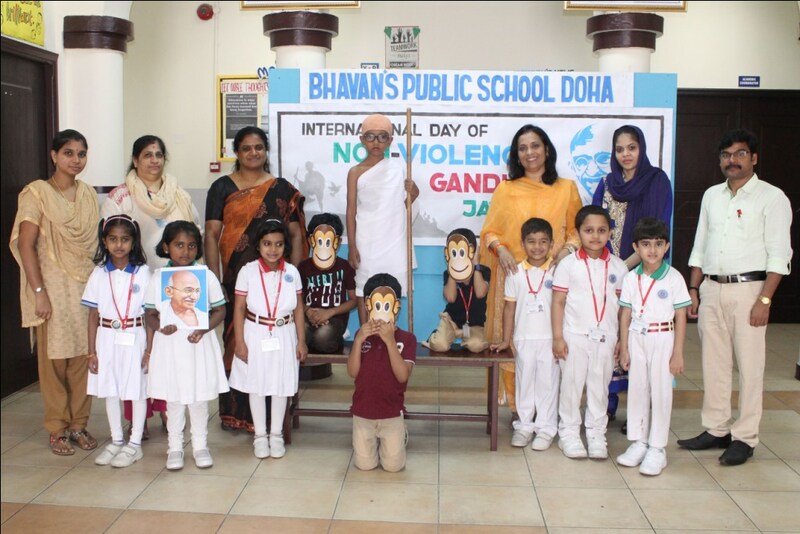 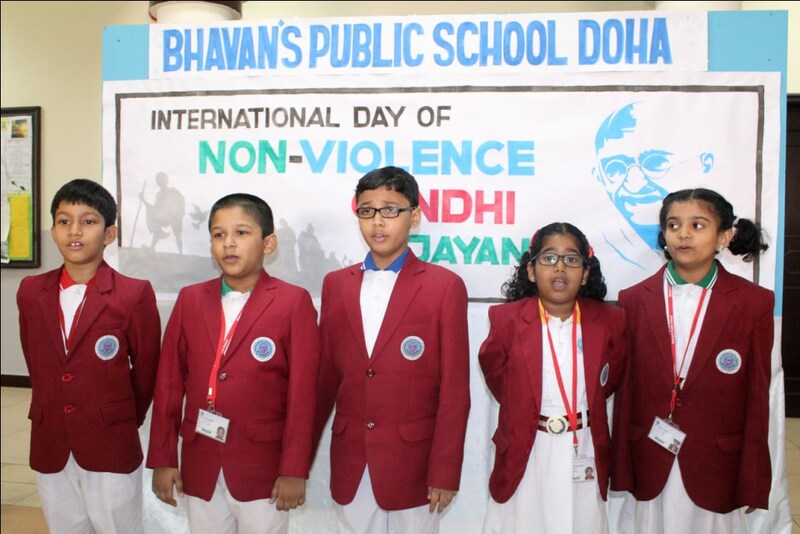 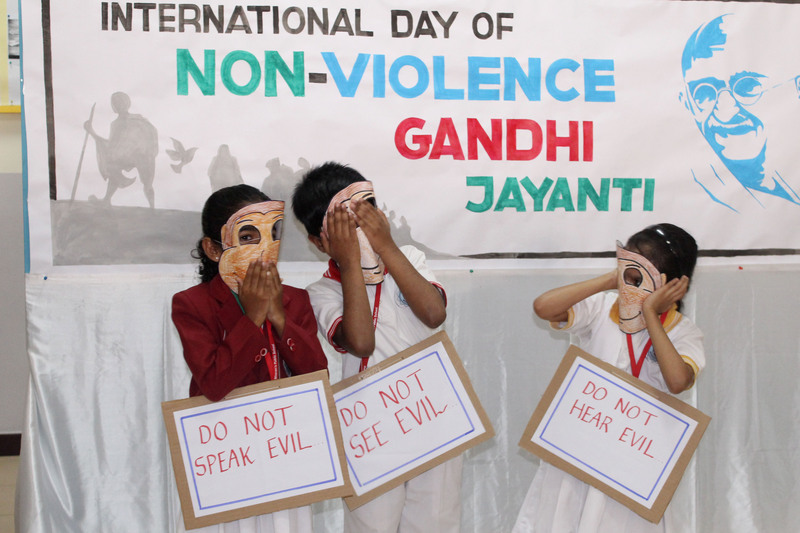 To pay homage to the peace apostle Mahatma Gandhi and to spread Gandhian ideologies, Bhavan’s Public School observed ‘International Non-Violence Day’ on 2nd October 2018. 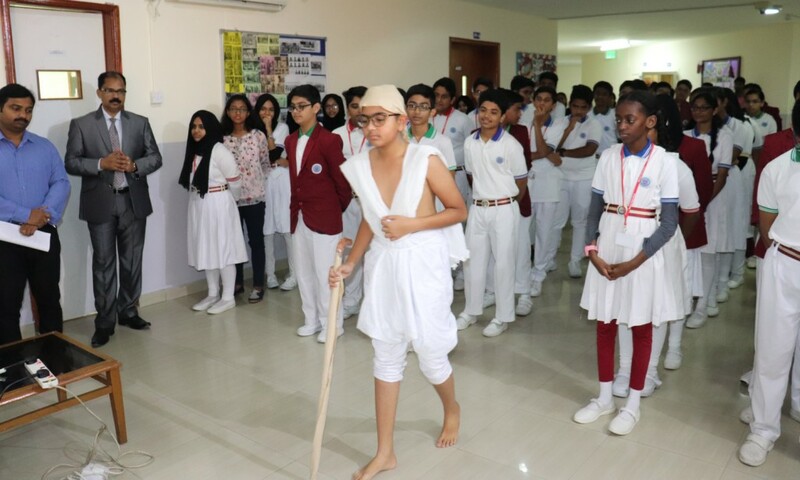 Students showcased his intrinsic values through speeches and group songs. 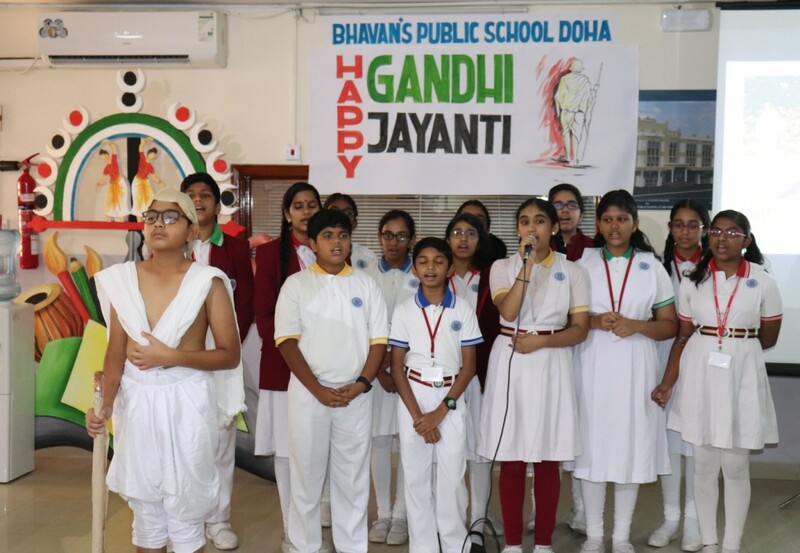 A beautiful musical mime was presented where the Gandhian values such as truth, patience, non-violence, service to humanity as well as individual freedom were highlighted. 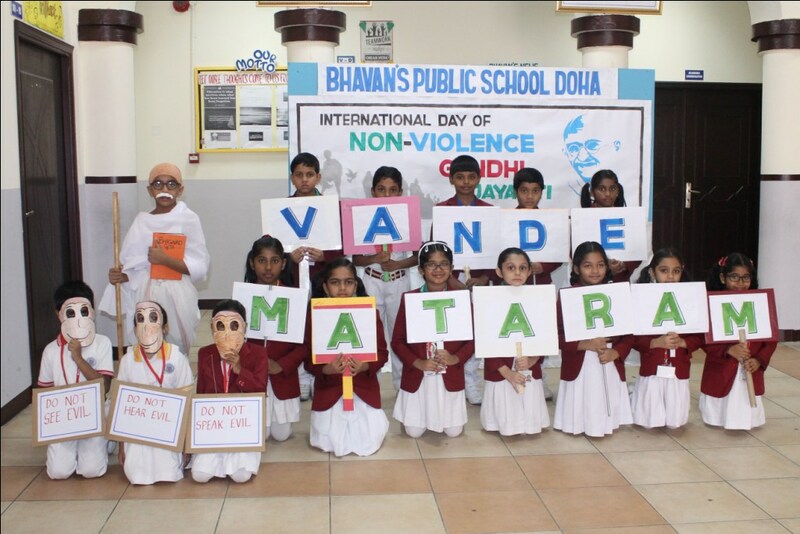 The impersonated Mahatma Gandhi and Bharat Matha went a step forward in helping the students to get acquainted with the principles of non-violence and truth. 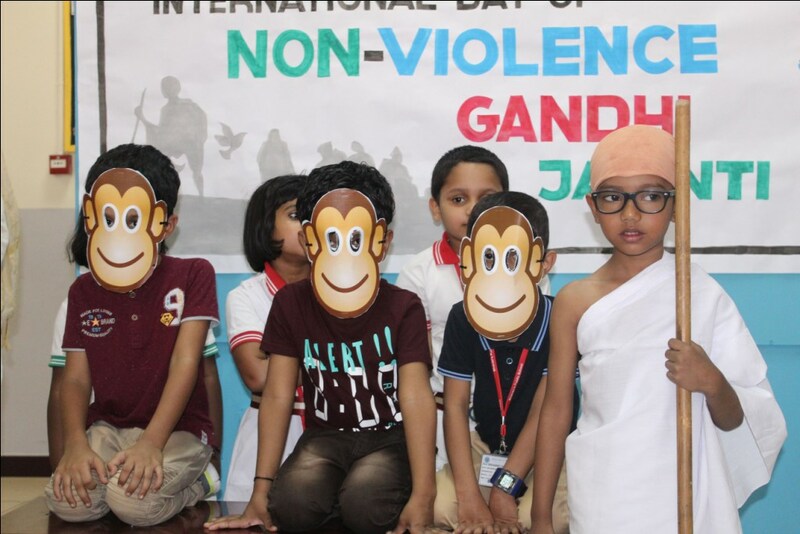 With great enthusiasm, the Kindergarten section too paid tribute by conducting various activities. 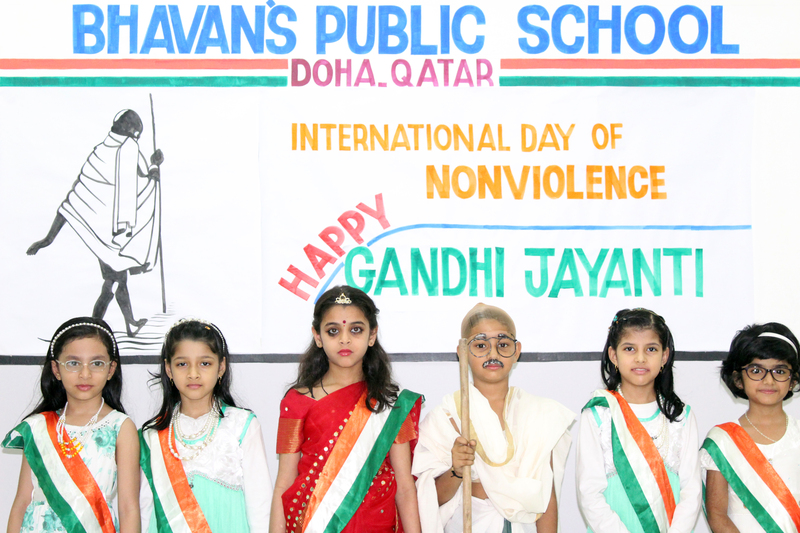 Principal, Mr.M.P.Philip advocated the values of the day through his speech. 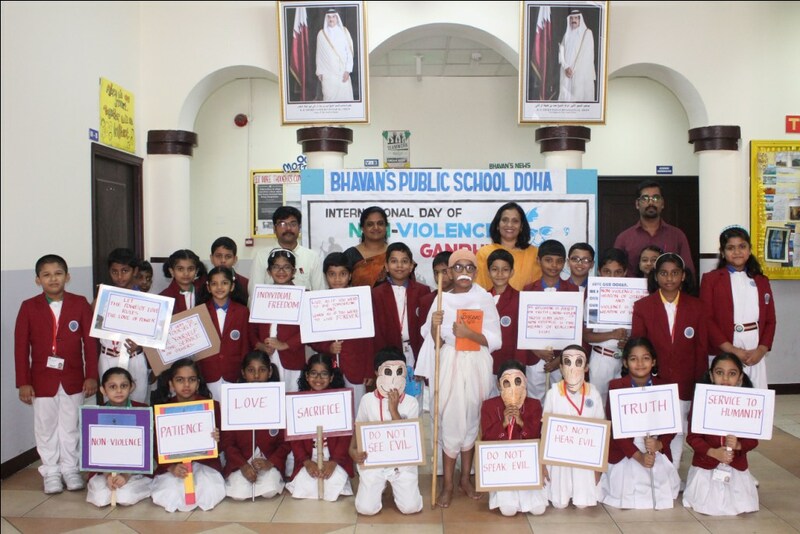 Vice Principal, Mr.Dharmaraj Kumar Proclaimed the students to read the autobiography of Mahatma Gandhi. 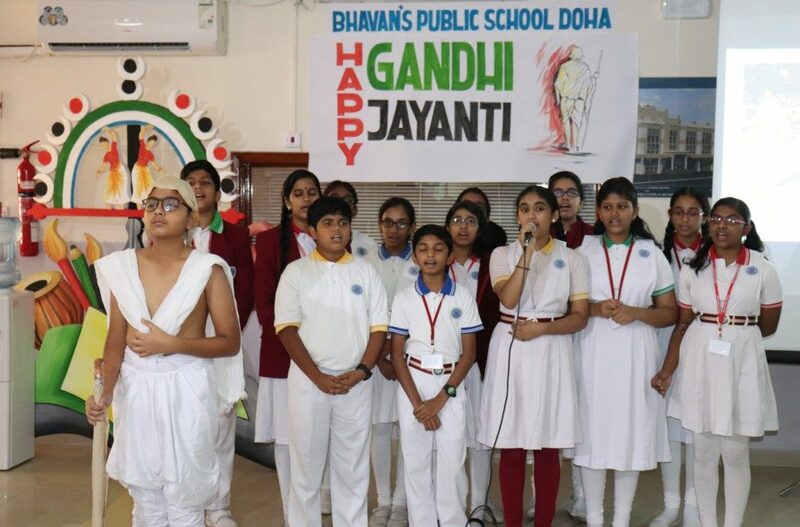 On this occasion, the Headmistress, Mrs. Asha Shiju urged the students to imbibe good thoughts, words and deeds. 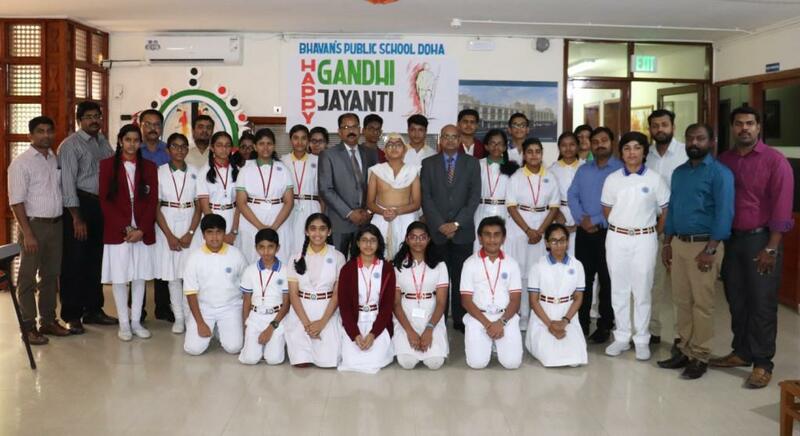 Headmistress Mrs.Shailaja encouraged the students to uphold the Gandhian principles and lead a simple and noble life.